The mine's tunnels stretch for hundreds of kilometres under the island and adjacent bay. 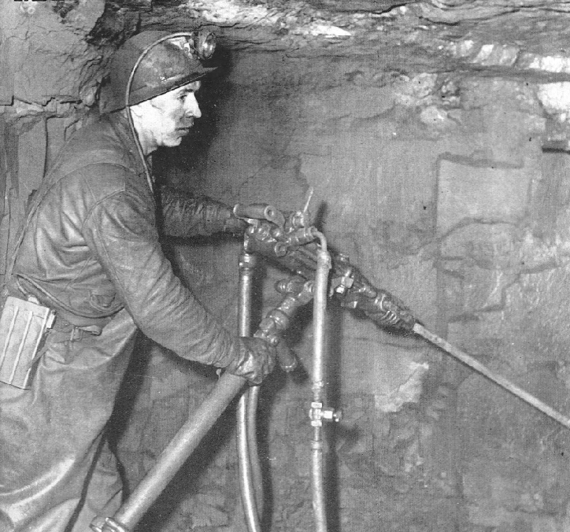 The last miner walked out in the mid 1960s leaving most of their equipment and tools behind. When the mine was shut down, the pumps were turned off and it flooded. Eventually the water levels rose, covering more than a hundred years of mining history. 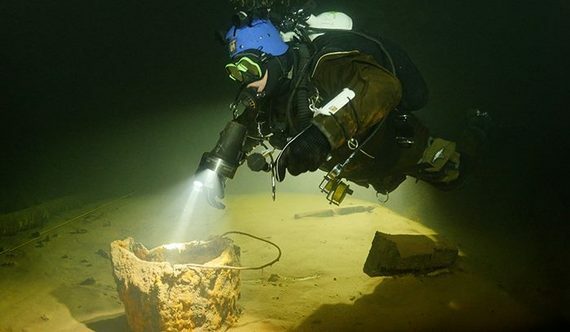 This week some of the best cave divers on the planet will mount an expedition to penetrate into a subterranean world that's remained hidden for more than 50 years. Along with a crack scientific and support team, Jill Heinerth, Phil Short, Sabine Kerkau and Steve Lewis will travel to Bell Island, Newfoundland in Canada and attempt to explore the old iron ore mine that runs under the island and adjacent bay. Others agree. The expedition has caught the attention of the prestigious Explorers Club. Impressed with the potential for original exploration, they've granted Mine Quest the honor of carrying one of their flags. These flags have flown at both polar poles and on top of the highest mountains in the world. Thor Heyerdahl carried one on the Kon Tiki expedition, as did the astronauts on Apollo 11. 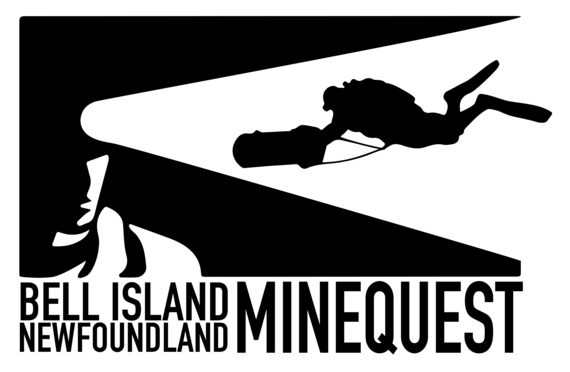 Mine Quest has also been noticed by the Royal Canadian Geographic Society. They've accorded the expedition the title of "Expedition of the Year." But exploration isn't the only driving force behind the expedition. It also has a heavy scientific bent. Diver Alert Network researcher Neal Pollock will use the opportunity to monitor the divers for bubbles in their hearts by taking ultrasound readings post-dive. He'll also be taking blood samples to look for blood markers indicating decompression stress. The overall goal of the study is to look at the effects of multi-day diving on people in high-stress environments. Scientist Dawn Kernagis will also be doing some ground breaking research into how stress can virtually reprogram your body at a genetic level. It's called epigenetic modification and if the right triggers are initiated these changes cannot only affect you, but be passed on to your children. She's currently doing similar research for the U.S. military. And the final reason for the expedition -- trying to see whether the mine can be made into a safe place as a diving adventure destination. Rick Stanley, one of the primary organizers of the expedition hopes that if this can be accomplished then there will be some economic spin offs to the local community -- hard hit since the mine closed. "If we raise the profile of the mine, then more people will visit to dive and to take the mine tour," said Stanley. He hopes that will give Bell Island a little economic boost. 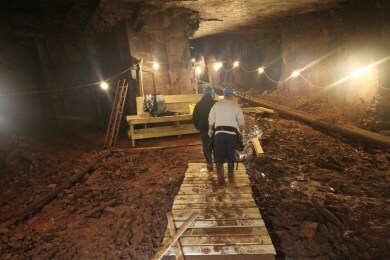 A group of local volunteers have been doing back-breaking labour in the old mine to clean up the debris in the tunnels that lead up to the water's edge -- getting the site ready for the divers. Mark and Marcia McGowan, John Olivero, Nick Dawe, Kyle Morgan, Teddy McCarthy, Des McCarthy, Ron Reid, and Bonnie and Tom Spracklin had to make sure a proper lighting system was installed, and built a staging area for the divers to work from -- a floating dock and tables. After two weeks of work, everything is ready to go. Once the expedition begins, the divers will face a somewhat daunting set of challenges. The layout of the mine is a veritable labyrinth; old equipment presents a series of jagged obstacles ready to trap unwary divers; fine sediment that can shut down all visibility just waits to be stirred up. The tunnels run deep and, of course, they're pitch black. An attempt made in 2007 to penetrate the mines ended in the death of one diver. There's no doubt the expedition is a risky venture. But at the end of the week-long expedition, with a little luck, the team will have re-discovered a slice of history, they'll have made some scientific discoveries and they may open up a whole new opportunity for properly trained divers worldwide -- a chance for dive experience extraordinaire. I'll be diving the mines (after the pros have laid in safety lines, of course) and filing daily reports from the Mine Quest expedition. It kicks off on February 15.